I have a strong aversion for any ready made frozen stuff. I am ok to eat them once in a while on vacations, but I try not to buy them when I am at home. So I have been trying to make chicken nuggets at home. We have recently started ordering nuggetsÂ for Ishaan at restaurants and he eats them sometimes and just walks away some other times. 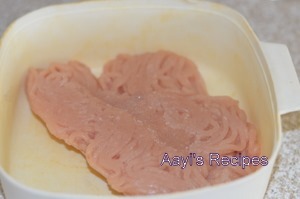 The only thing I have ever prepared with ground chicken was kheema, since it does not look like chicken no one wants to touch it (other than me, who is a big fan). So I decided to make something different this time. I wanted to make something that Ishaan would eat, so burger was out of question. He does not care for them so far, I will introduce it slowly. I tried these nuggets, all of us really enjoyed them. The best part was, since I used ground chicken, the spices got mixed with every bit and they turned very flavorful. Just make sure not to over cook them. Add yogurt, chilli powder, garam masala, ginger, garlic, coriander leaves and salt to chicken and leave it aside in refrigerator for 30mins-1hr. Heat a tava (I used cast iron) and spread some oil. 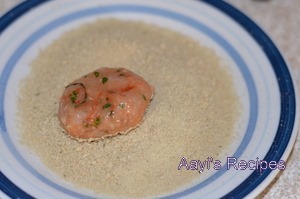 Make small balls of the chicken mixture, slightly press them on the palm of your hand. Then roll them in bread crumbs. Shallow fry them till chicken is completely cooked through. 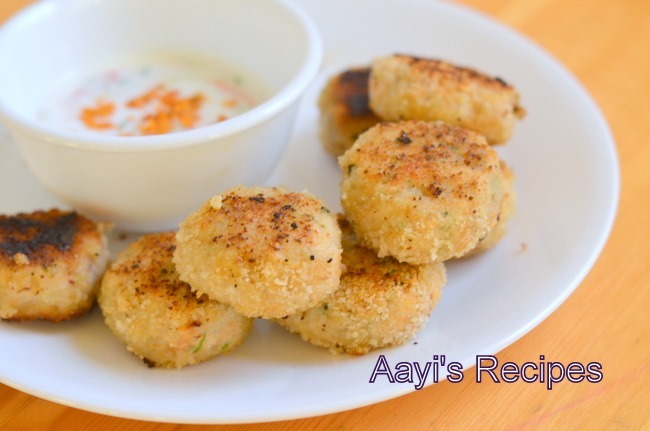 Serve hot on their own or with ketchup or a cold raita. Is ground chicken the same as kheema? Great recipe to try. I buy Venky’s nuggets sparingly and its always better made at home. By the by, its ‘burger’. You might like to correct that. 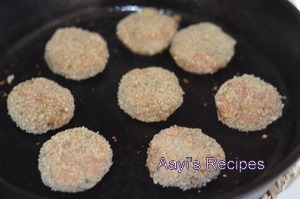 These are like the meatballs or patties I make with ground chicken. Only I add breadcrumbs to the keema mix, makes it super soft. I also bake them at times or shallow fry. 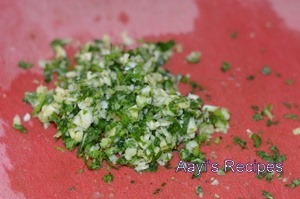 Also make kababs with them and in that case add an egg to the mix. Try that and see if Ishaan likes it. Really nice and easy version Shilpa! Even I am a bit averse to frozen stuff and shallow frying does a good enough job. You do get chicken keema in India. It is available in most supermarkets. Just had a question, y do keep the mixture in the refrigerator? I usually don’t like to keep chicken outside for long time, always worried it may get spoiled. 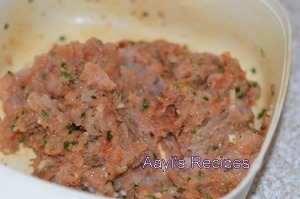 and another question is if the kheema is wet do i need to dry it out first? I usually wash in a big bowl (not strainer) and bend it to remove all water. Just make sure there is not much water in kheema while making nuggets. I wanted to know if these can be frozen and kept. If so for how lo g can they be frozen? My daughter loves nuggets, and i wanted to make my own nuggets. Hi, I did make these the very same day! I also froze a few nuggets! They taste great! For my satisfaction though, I wont freeze them for long! Hi, can you bake these instead? If so what is the temperature/time? Hi is there a substitute for bread crumbs? You can use sooji/rava. But breadcrumbs works best in my opinion.